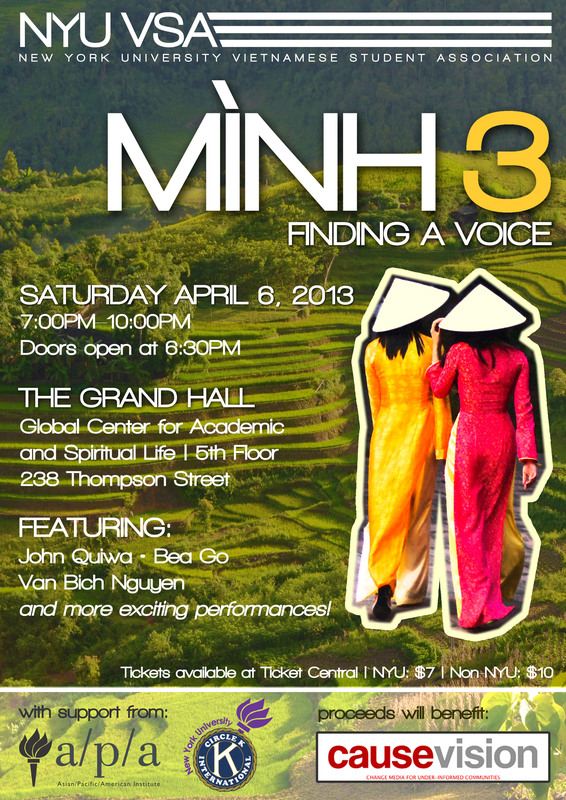 Mình is an annual semi-formal event hosted by the Vietnamese Students Association at NYU to celebrate Vietnamese heritage and bring together the Vietnamese community while supporting various causes. This year’s theme is “Finding a Voice.” Join us for an intimate evening of food and fun, all for a good cause – all proceeds will be going to CauseVision, a non-profit that combats human trafficking by producing and distributing educational materials. Doors open at 6:30PM. For more information, visit Facebook or contact the event organizer.